Why an organization's response to digital disruption should focus on people and processes and not necessarily on technology. Digital technologies are disrupting organizations of every size and shape, leaving managers scrambling to find a technology fix that will help their organizations compete. This book offers managers and business leaders a guide for surviving digital disruptions-but it is not a book about technology. It is about the organizational changes required to harness the power of technology. The authors argue that digital disruption is primarily about people and that effective digital transformation involves changes to organizational dynamics and how work gets done. A focus only on selecting and implementing the right digital technologies is not likely to lead to success. The best way to respond to digital disruption is by changing the company culture to be more agile, risk tolerant, and experimental. The authors draw on four years of research, conducted in partnership with MIT Sloan Management Review and Deloitte, surveying more than 16,000 people and conducting interviews with managers at such companies as Walmart, Google, and Salesforce. They introduce the concept of digital maturity-the ability to take advantage of opportunities offered by the new technology-and address the specifics of digital transformation, including cultivating a digital environment, enabling intentional collaboration, and fostering an experimental mindset. Every organization needs to understand its "digital DNA" in order to stop "doing digital" and start "being digital." Digital disruption won't end anytime soon; the average worker will probably experience numerous waves of disruption during the course of a career. 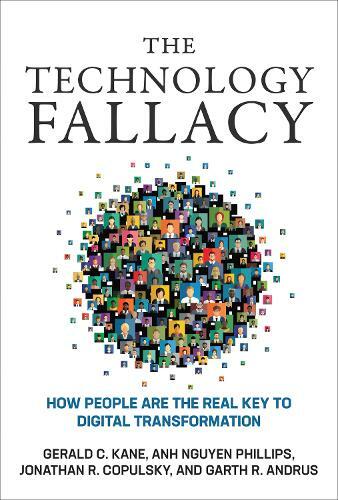 The insights offered by The Technology Fallacy will hold true through them all. A book in the Management on the Cutting Edge series, published in cooperation with MIT Sloan Management Review.